Angela Gilliam was born in Boston, MA. She attended the University of California at Los Angeles from 1954 to 1958 and graduated with a Bachelor of Arts in Latin American Studies. From 1958 to 1962 she attended the National School of Anthropology and History in Mexico City and took courses toward the Master of Science in Ethnology and Anthropology. She received her Ph.D. from Union Graduate School in 1975. She was a faculty member in anthropology/social sciences at The Evergreen State College (TESC) from 1988 to 2004, where she received Emeritus status. Prior to TESC she was a tenured professor at State University of New York, College at Old Westbury from 1970-1990. She was a visiting professor at the University of Coimbra, Portugal from January, 1976 to August. 1976. Subsequently, she was a visiting lecturer at the University of Papua New Guinea from July, 1978 to July, 1980. From 1966 to 1970 she worked in various positions that utilized her bilingual skills. She speaks fluent English, Spanish, and Portuguese, and has reasonable skills in French. She was a Fulbright Scholar in 1994 to 1995 teaching graduate studies in anthropology at the University of Brasília in Brazil, and is published in the field of anthropology in Spanish, Portuguese, and English. 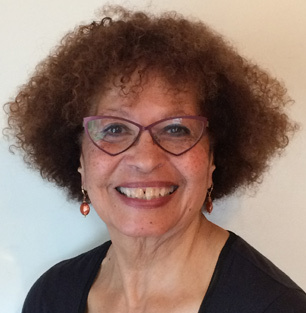 Prior to retirement, she had belonged to professional and civic organizations including: American Anthropological Association, Association of Black Anthropologists, World Archeological Congress, Latin American Studies Association, and Women for Racial and Economic Equality (for which she traveled as a delegate to Israel/Palestine in 1988 and subsequently testified to Congressional Black Caucus in this regard in April, 1988), and represented International Women’s Anthropology Conference at the United Nations (IWAC NGO) from approximately 1984-1988. While at TESC, she participated in campus governance activities, and in 2001 was elected by the Faculty as its Graduation Speaker. Go to the full article in English on AfroCubaWeb, no charge. AfroCubaWeb thanks the author and Latin American Perspectives for their kind permission to publish. Ever since the Cuban Revolution challenged the Monroe Doctrine by asserting a right to independence and mutuality between the United States and Cuba, no effort has been spared to gain control of the island. The National Endowment for Democracy, which has long pursued regime change in Cuba in the guise of democracy promotion, has recently “discovered” Cuban black people and manipulated the discourse of nonviolent civil disobedience to charge Cuba with racism. In 2009, an open letter from the esteemed Abdias do Nascimento and a document signed by 59 respected U.S.-based public figures of African descent became part of this effort. This process was enhanced in 2013 with visits to the United States by Afro-descendant Cuban dissidents and the increase of the reward for the capture of Assata Shakur, an exiled political activist currently living in Cuba. The original charge was countered by Cuban artists and writers and by U.S. Afro-descendants in support of Cuba’s history of mobilization against discrimination and racial prejudice. If there is one way in which Cubans are taking to heart what Fidel Castro once called “the monopoly of knowledge,” it is combining the full-throated struggle against racism with the objective to improve socialism at all levels of society. Desde que la revolución cubana desafió la doctrina Monroe al afirmar el derecho a la independencia y la reciprocidad entre Estados Unidos y Cuba no se han escatimado esfuerzos para tomar control de la isla. El National Endowment for Democracy, que durante mucho tiempo ha buscado un cambio de régimen en Cuba, recientemente ha “descubierto” a los cubanos negros y manipulado el discurso de la desobediencia civil no violenta para acusar a Cuba de racismo. En 2009, una carta abierta del estimado Abdias do Nascimento y un documento firmado por 59 respetadas personalidades de origen africano en los Estados Unidos se convirtió en parte de este esfuerzo. Este proceso se ha intensificado con visitas a los Estados Unidos de disidentes cubanos afrodescendientes y un aumento en la recompensa por la captura de Assata Shakur, una activista política exiliada que vive en Cuba. La imputación original ha sido debatida por escritores y artistas cubanos y por afrodescendientes estadounidenses que apoyan la lucha histórica cubana contra la discriminación y los prejuicios raciales. Si hay una forma en la que los cubanos están tomando en serio aquello que Fidel Castro llamó “el monopolio del conocimiento” es combinando la lucha contra el racismo con el objetivo de mejorar el socialismo a todos los niveles sociales. Go to the full article in English on AfroCubaWeb, no charge. This article appeared in the Juy 2014 issue of Latin American Perspectives, v 41, 4, See table of contents for Cuba in Transition. African Americans Affirming the Jim Crow analogy in Palestine/Israel 7/1/2013 Palestinian Campaign for the Academic and Cultural Boycott of Israel: "On May 29th, novelist Alice Walker issued an open letter calling upon Alicia Keys to cancel her scheduled concert in Israel. The letter has created an immense stir, as those who wish to ignore the situation facing the Palestinians hasten to draw a false wall between the experiences of African Americans under Jim Crow and Palestinians today, attacking Alice Walker's person in the process, in major media outlets including the Wall Street Journal, the Daily News and the New York Post. In signing this letter, we affirm the accuracy of parallels drawn between the experience of African Americans in the U.S. under Jim Crow and Israel’s treatment of Palestinians." Signed by Angele Gilliam. Angela Gilliam on Cuba 3/15/2010 US Women & Cuba Collaboration: "Indeed, I wish I could have brought back some HEBERPROTB, a medication that aids in healing deep diabetic ulcers. There are other breakthroughs brought on by new medical research there, especially at the Center for Genetic Engineering and Biotechnology. I am glad that Cubans are working on vaccinations against breast cancer, and remembering friends who have died from this disease, hearing about the new anti-oxidant medication VIMANG—a cream and pills used with radiation therapy to protect the woman’s breast—warmed my heart. The blockade against trade with Cuba has made joint medical research projects such as those between Johns Hopkins University personnel and a few investigators in Cuba difficult." At the Caravan to Cuba send off Angela speaks about the Assata Shakur case. US Women & Cuba Collaboration - "My first contact with Cuban health care policies came in 1976 in Guinea Bissau, when my then five year old daughter’s life was saved by a Cuban volunteer doctor. Who knows how or where exactly she contracted the dreaded malaria? All I know is that if a Cuban volunteer doctor had not come to the entrance of the closed Bissau hospital one Sunday morning at dawn, I might have lost her." 5) “Militarism and Accumulation as Cargo Cult” In DECOLONIZING ANTHROPOLOGY (ed.) Faye Harrison, Association of Black Anthropologists/American Anthropology Association Monograph, Third edition 2010.